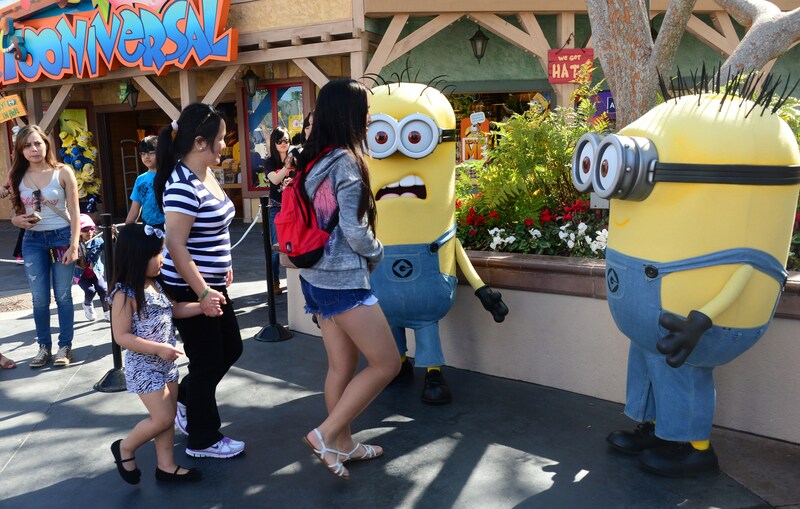 A horrifying scene broke out at Universal Studios in Los Angeles on Friday. According to CBS Los Angeles, a man killed himself at Universal Studios Hollywood while a crowd of tourists looked on. The man reportedly died by a self-inflicted gunshot wound, raising questions about the popular theme park's safety rules and procedures. CBSLA reported that the man shot himself with a handgun in the designated smoking section behind the Despicable Me attraction. The situation that unfolded appears to be related to a domestic violence episode — the man's estranged girlfriend worked at Universal Studios, and she reportedly notified security when he showed up at the theme park on Friday. According to CBSLA, the man had a restraining order against him. We know he and his girlfriend have been estranged since February. She had a restraining order against him, and today she saw him outside the restaurant and she alerted security. When one of the security officers approached the man, he entered the designated smoking area, L.A. County Sheriff’s Department officials said. That's when he reportedly pulled a handgun from his back pocket and killed himself, surrounded by visitors to the theme park. ABC7's Gisela Perez-Diaz posted a video on Twitter showing Universal Studios visitors packed into what appears to be a gift shop, passing around water as they waited for the OK that the shooting was over. Despite the fatal shooting, Universal Studios kept the park open for the remainder of the day. Twitter users who were at Universal Studios on Friday tweeted about the shocking event, saying park employees attempted to evacuate visitors to safe locations. Investigators are now looking into the security protocols at Universal Studios Hollywood, and how a person could bring a handgun into the park undetected. According to the theme park's policies and restrictions, "all bags, backpacks or packages will be inspected prior to entering the theme park." The park's policies also state that "any type of weapon" is not permitted. However, Universal Studios Hollywood currently does not employee metal detectors, which may have led to this security failure.